Research shows that high-performing organisations focus on diversity and inclusion (D&I). In any workplace, it is important to both understand and recognise the benefits that having a D&I workforce provides. It is integral to developing people within an organisation, serving clients as best we can, and playing an important leadership role in communities. This book is the first to place D&I at the centre of successful real estate and construction organisations. It provides guidance to, and most importantly, actions for professionals in the sector who want to make D&I an inherent part of the culture of their organisation. This book has been written to bring the sector up to speed with what D&I is all about and how a D&I strategy can be implemented to secure future success. It presents a practical and easy-to-read guide that can help organisations and their leaders engage with and apply this agenda to win the war for talent in real estate and construction. This book is essential reading for all property leaders and professionals working in the real estate and contruction sectors. Readers will gain especially from personal reflections on all aspects of diversity by a broad range of people working in the property industry. Wonderfully illustrated by Farley Katz, cartoonist of The New Yorker. 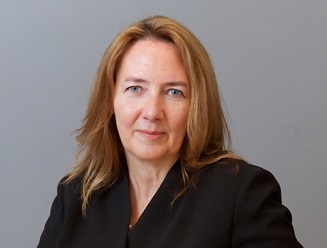 Amanda Clack was the 135th President of the Royal Institution of Chartered Surveyors (RICS). She is an Executive Director at CBRE where she is Head of Strategic Advisory and Managing Director for Advisory across EMEA. She sits on the CBRE UK Board. She has an MSc in Programme Management and is a Fellow of RICS, the Institution of Civil Engineers, the Association of Project Management, the Institute of Consulting and the Royal Society of Arts. Amanda is a Certified Management Consultant and Companion of the Institute of Management. Judith Gabler has worked for RICS in Europe for over 20 years and is currently Acting Managing Director, Europe with Germany as her country focus. She has a BA (Hons) in French with German and an MSc in Real Estate and Property Management. She is also a Fellow of the Chartered Institute of Linguists and the Chartered Management Institute, as well as being a Chartered Linguist and a Chartered Fellow. All proceeds go to LandAid - a homeless charity widely sponsored by the sector and who are a charity supported by CBRE. This Book is a First for the sector in tackling the agenda and is a practical guide for leaders at all levels, but especially the CEO, to set the agenda and #BeTheChange. And we all have a role in being the change we want to create.